Whether we are craving something, trying to stay off carbs, trying clean eating to meet fitness goals, planning meals around giving kids a wholesome diet, food is something we think about daily. Ask any fitness enthusiast and they will tell you that great looking body is 70% diet and 30% workout. Similarly when it comes to health and beauty, food and nutrition has an all-consuming role. Not only can the right diet keep health problems at bay, but it can also heal. In our many previous reads we have covered healthy eating – be it specific superfoods that urbans need in collaboration with haute culinare Caleigh Schmidt of KEILI Paris, or how eating for the gut resolves some common urban ailments, the new age superfoods that you can add to your smoothies. We did a special series #NaturalBornHealers that highlight the role of natural especially food that help with urban ailments like sleep immunity and more. This time we have a very special feature. 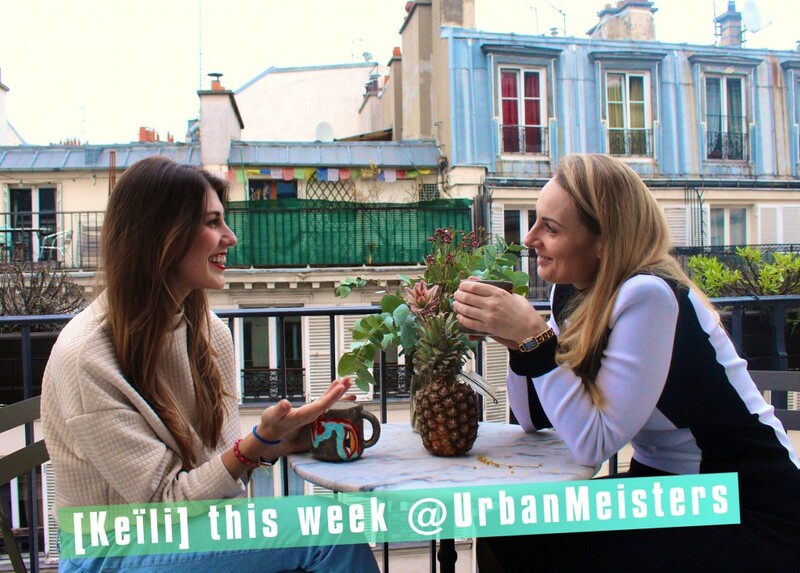 Our founder Mirela gets in conversation a holistic lhealth coach covering a very interesting way that food can keep us healthy. Say hello to Susanne Mick, Bioresonance therapy and maintaining a healthy PH balance through food! Susanne Mick is a dear friend of UrbanMeisters founder Mirela Orlovic. For Mirela personally, Susanne is the best vegan cook she knows. But this is not why Susanne is our our expert guest writer this time. We often hear in the context of urban pollution and stress that our bodies are “too acid” and that this not only has an an impact on our wellness, but can be a real burden for our health and lead to serious illnesses in the long run. So with Susanne’s 10 years of expertise in holistic health coaching, and with her independent practice in health coaching and bioresonance therapy which she started in September 2017, she seemed the perfect person to turn to. Living a healthy lifestyle has never been a burden for Susanne. A couple of years ago she discovered the colourful vegan and grain-free low carb cuisine as a source of power. But from time to time, she does mix it with organic eggs and local fish. Also, Susanne loves red wine. She loves cooking for her friends and takes it as a special challenge to show them how tasty “clean food” can be. She shares her philosophy of life with her husband and together they are typical global citizens with homes in Paris as well as in Vienna. Her homes are totally free of electro smog – without sacrificing modern technology – and always smells of fresh eucalyptus or essential oils. She practices Yoga, meditation and conscious respiration regularly to stay in touch with her inner and authentic self in the stress of everyday life. 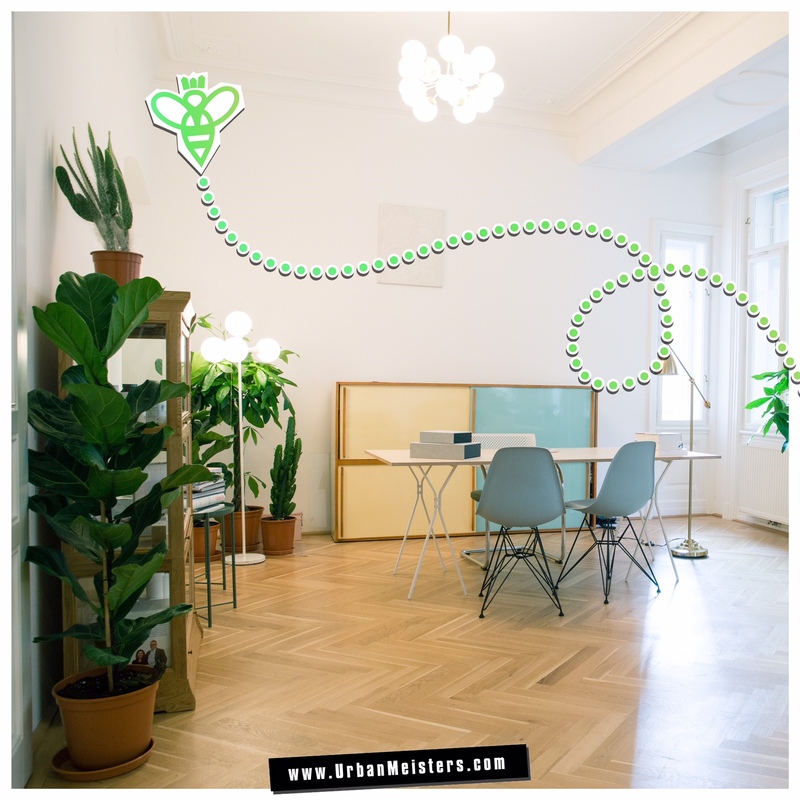 Susanne’s health coaching center is in Vienna, Austria. As different and unique each of her patients is, as individual and tailor-made is also her treatment method. Her objective is to help urbans keep and obtain health and wellness in their bodies. Together Susanne and her patients work out a new, holistic lifestyle that is realistic not only at home, but can also be easily integrated at work and in the social environment. When patients have urgent and chronic issues of (almost) any kind Susanne starts with a Bioresonance therapy. Susanne accompanies the therapy by natural vital substances and plant extracts. She explains that a lot of her patients actually just want to lose weight and in such cases she focuses on the gut and metabolism. Bioresonance is a follower therapy of acupuncture and treats energetical imbalances in the body. Quantum physics has shown that everything and everyone is a mass of energy.In fact, we all are continually emitting energy in the form of measurable wavelengths. However urban lifestyle, stress, dietary habits, etc. changes the natural frequencies of our bodies and imbalances set in. Bioresonance is a safe non-invasive way to address the energy sources, remove the incorrect frequencies and return the body to its balance which allows its natural defenses to function better. 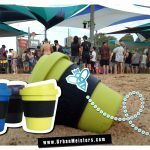 Dear UrbanMeisters, I am very keen to contribute to the vibrant green community by sharing my advice on a very important subject that I am very passionate about – the acid-base household. Ok, it may not sound as a passionate subject at a first sight☺. But it is a very important concept – essential for our health and wellbeing, especially of all us urbans. We are being exposed on a daily basis to an extremely stressful environment and all day long pollution, indoors and outdoors. Our fast paced urban lifestyle makes it difficult for us to live healthy, have a balanced diet, do sports, … . 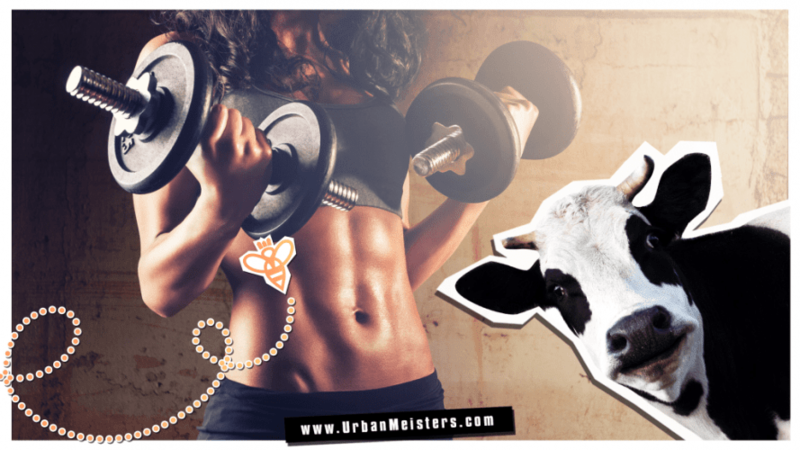 So in my first UrbanMeisters article I will reveal some keys to urban health & happiness and who knows, maybe some of you will become as passionate about the acid basis household as I am. Because keeping it at balance, feels so good! First, what is the acid base household? The acid base household regulates the acids and alkaline in our bodies. Regulating means our body & organs are constantly working on holding the ideal pH score (the unit of measurement of the acid:base household) of 7.4. A healthy acid base balance ratio is 2:8. To give you an idea of this act of constant balancing our body has to do: to neutralise 2 acids, we need 8 base. Neutralise means in this case again get back the ideal pH score of 7.4. You can actually check if your body is too acid by measuring the pH in your urine or saliva. You can get gauges to measure in every pharmacy. We either take in acids/base externally or produce them internally (see how below). Artificial food additives like preservatives, colouring agents, flavour enhancer (glutamate), sweetener as for example aspartame, etc. Dental toxins like mercury, palladium etc. The imbalance of the acid basis household is at the beginning of any illness. The imbalance is unfortunately not easy to detect, because the first signs of an imbalance are harmless and we think they are the little ailments of every day life: insomnia, fast lack of fatigue, mood swing, sensitivity for inflammations. Start the day with a natural basis – Start your day by filling your body up with fresh, clean water – before you eat anything! After the first big glasses of water, you can opt for boiled water with lemon. Even though the lemon tastes acidic, it is actually acting as a basis as far as metabolism is concerned. The stomach is happy, the metabolism gets an energy kick and the accumulation of acids that happens over night is more easily eliminated. Note: Be careful! If you have very thin tooth enamel, use lemon water only for a short period of time, because it can attack sensitive tooth enamel. If this is the case, you can drink on a regular basis boiled water. Use a basic powder – On top, or as an alternative, I recommend a high quality basic powder from the pharmacy or your favourite organic shop. Basic powder consists of base mineral substances like magnesium, potassium, … . I recommend a cure of 6-8 weeks. After that you go back to lemon water in the morning. Postpone coffee only after 12 p.m. – Because between 5 hrs and 12 hrs we eliminate the acid that has accumulated over night. If you drink coffee in the morning, this very acidity drink, will block your body from the natural acid elimination. So it’s best to postpone to the coffee to after 12 p.m. Salad life! Green leafs and root vegetable are our favorite basis. It is important that they are from organic origin! Otherwise you may obtain the contrary result because of the pesticide charge. Do you know the multiple possibilities to use leafs? Pressed, raw, slightly steamed or as salads with scrambled eggs for breakfast. Salads as a wrap around fermented tofu. Sweet salad with coconut yoghurt and lotus flower syrup. Countless yummy options! Salat as soupe (also in the evening) with a couple of fat eliminating Shiitake mushrooms. You can also eat salad leaves without dressing! They are full of proteines (Sports freak do listen), Chlorophyll (which is like a life elixir), vital substances and fibres. 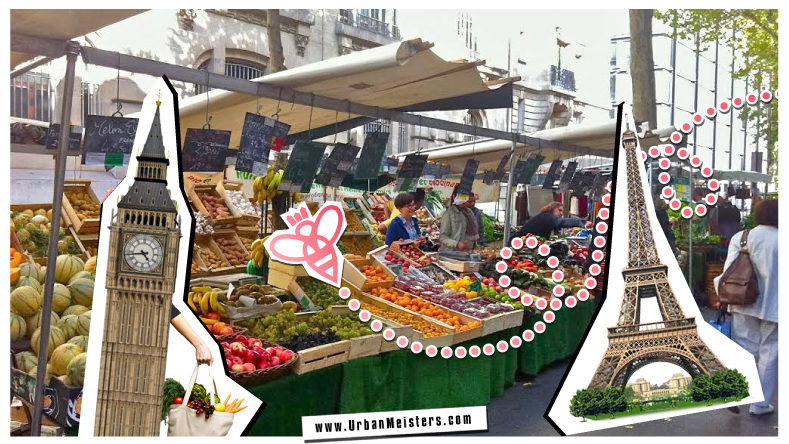 UrbanMeisters recommends: If you are based in Paris or London here are some top recommendations for farmers markets and organic online options. First let’s not raise the glass, but if you must – Alcohol is in general acid, but when you don’t want to give it up, then I recommend to drink red wine & one glass is enough. Red wine has -2,4 mEq/100g and thus a 100% more basic effect than white wine that has -1,2 mEq/100g. As comparison: vegetable juice has -3,4mEq/100mg. Also the substances of the red grape seed is also very antioxidative and in certain limits also good for prevention. The substance OPC for example helps skin issues in general, allergies, wrinkles, visible blood vessels. bad eyes, PMS und chronical inflammation. After having some wine, you can take after having waited a little bit again the basis powder from the morning or Magnesium (without additives) in order to prevent the arteriosclerosis. Fish accompaniments – When you eat tuna fish, I recommend you to eat boiled potatoes, they are particularly basis, they drain acid and are low in calories. Taking a base bath is perfect as well but more time consuming. If you do so, the water should not be warmer than 38 degrees and you need to make sure to stay for at least 20 min in the bath. Your skin will be thankful, since it is also a way to fight cellulite. However bathing is excess water consumption so it can be an exception. When turning in, I really trust alka-socks / stockings. The brand I use is Jentschura. Dip the socks / stockings in warm water with basis bath salts and then put them on. Then put over the socks wool socks. In this way you support your body via the skin to eliminate the acids. In the morning you have an amazing feeling. Can also be recommended after you have been drinking alcohol. Air pollution – Both outdoors and indoor air pollution are biggest basis killers for urbans. So before heading out for say a run, check air pollution. Definitely wear air-pollution masks. When indoors, in office for example since we all are so overworked, be careful with ACs. The air quality can be bad triggering acidity in your body. Read our feature on indoor air pollution to understand some of the other sources and stay safe. 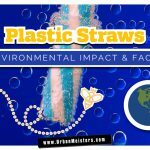 Green product recommendation: Plastic drinking bottles are not always BPA-free and bottled water on top, contributes to environmental toxic waste. 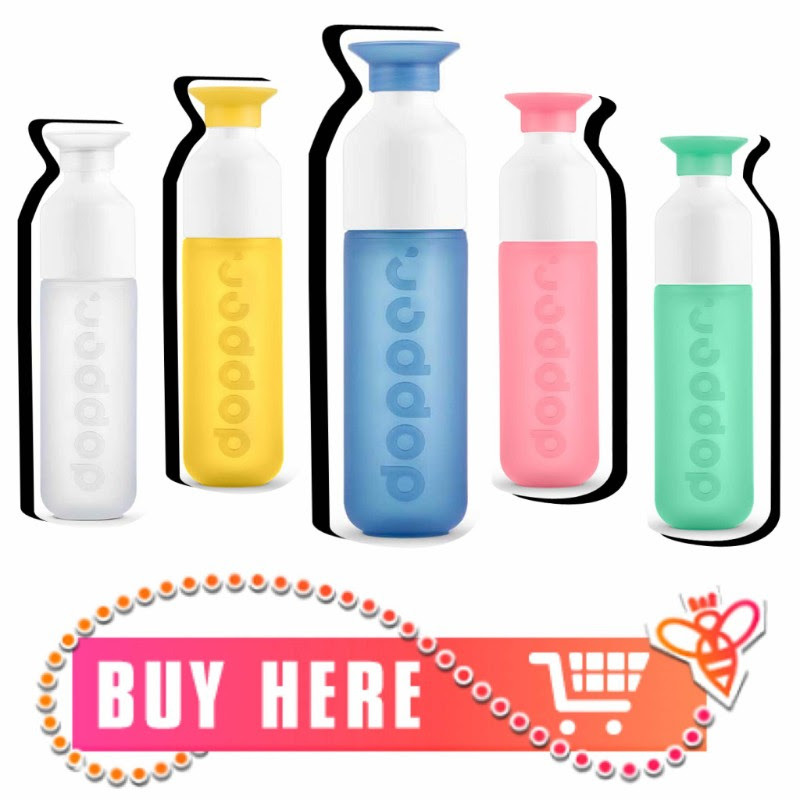 Shop BPA-free Dopper resuable water bottles. Digital detox – Shut down your smartphones and wifi whenever you can. It is proven that synthetic electromagnetic fields create stress and thus acids. I neutralised my home yith memon and thus I don’t need to renounce on the practicability of tech. Also during the night, shut-down or atleast turn phones into airplane mode for digital detox. 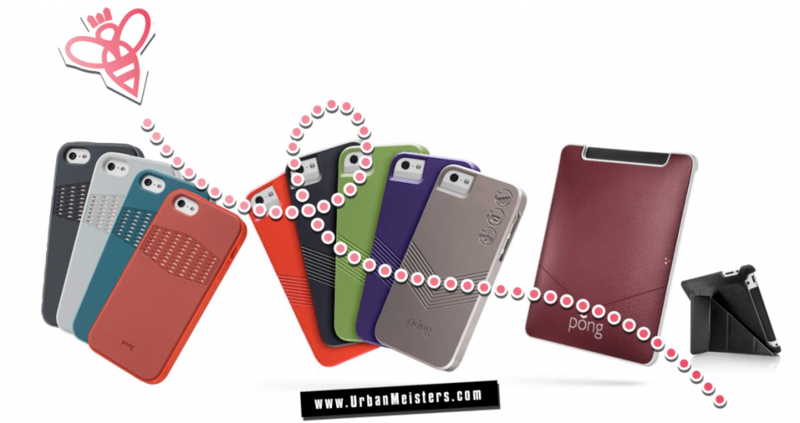 Green product recommendation: For mobile phones, we have featured the smart accessory cases that cut out the harmful electromagnetic radiation – Pong cases. The cases for phone cost between $60 to $40 depending on the model/ make. Pong cases are available for purchase directly on www.pongcase.com. This is a U.S. based online store, but they ship products all over the world. 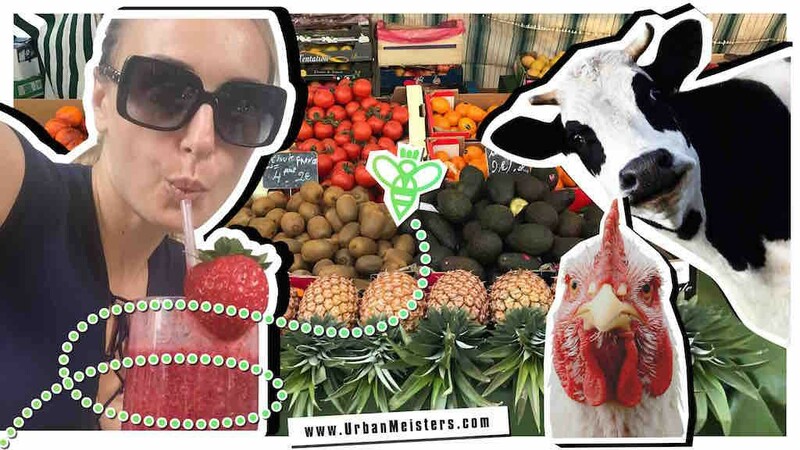 UrbanMeisters we hope Susanne’s take on healthy eating and living via acid-base household has given you a simple yet a whole new way of looking at daily heath via food habits. Here are some more food related reads we’d love for you to continue your green eating journey. 1. Go meatless in your fitness regimen with these plant proteins!